A recent study has identified a pathway — initiated by transforming growth factor (TGF)-β — that induces cell migration in endometriosis. The findings show that TGF-β induces the production of pluripotent transcription factor OCT4, in turn activating a number of factors that signal endometrial cells to start migrating into neighboring tissue. The researchers say the discovery could aid in developing therapeutic strategies to prevent endometriosis. The study, published in the journal PLOS ONE on Dec. 16, is entitled “TGF-βI Regulates Cell Migration through Pluripotent Transcription Factor OCT4 in Endometriosis.” The research — performed by Heng-Kien Au and colleagues from Taipei Medical University, Taiwan — used several techniques to study what later was identified as a molecular signaling pathway for cell migration in endometriosis. 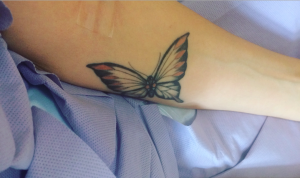 Previous endometriosis research has focused largely on finding differences between endometriotic and normal tissue, studying soluble factors found in the peritoneal fluid to a lesser extent. 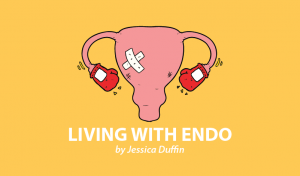 Although earlier studies frequently reported high levels of TGF-β and its receptor TGF-βR1 in tissue from patients with endometriosis, the exact role this growth factor plays in the development of endometriosis has not been unraveled. TGF-β is often found in high concentrations in invasive cancers, and cancer research has found the signaling molecule induces cell migration via activation of migration factors. The team hypothesized that TGF-β might also be a crucial signal for endometrial cells to start moving. Collecting samples from 47 women with highly migratory endometrial conditions (adenomyotic myometrium and chocolate cyst), as well as control endometrial tissue with normal migratory capacity, the team observed that levels of TGF-β and its receptor indeed were higher than normal. 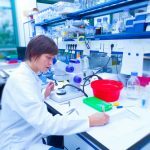 The team further explored the levels of another protein identified in endometriosis patients, OCT4. OCT4 is a transcription factor — a protein that interacts with DNA and alters the expression of other genes. Therefore, it was a natural next step to look at the expression of other genes associated with cell migratory properties. 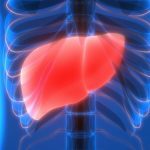 In a first analysis — using statistical correlation models — the study found that both TGF-β and OCT-4 levels were associated with the levels of several factors associated with migration. Looking also at endometriotic stromal cells in culture, they observed that TGF-β gave rise to higher levels of OCT4, as well as the migratory factors SNAIL and N-cadherin. By rendering OCT4 dysfunctional through a gene knockdown technique, they could confirm the role of OCT4; cells lacking OCT4 indeed had lower levels of N-cadherin and SNAIL. Moreover, using a migration assay, the team observed increased cell migration when cells were stimulated with TGF-β. They could also block the increased migration by knocking down the OCT4 gene. Microscopy of the cells also revealed that actin filaments — fibrous structures propelling cell movement — were inactive in cells lacking OCT4. 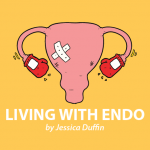 The authors believe that the new findings may be influential for the development of drugs that could prevent endometriosis by targeting TGF-β/OCT4 signaling. Tagged cell migration, pluripotent transcription factor OCT4, Taipei Medical University, transforming growth factor beta (TGF-β). 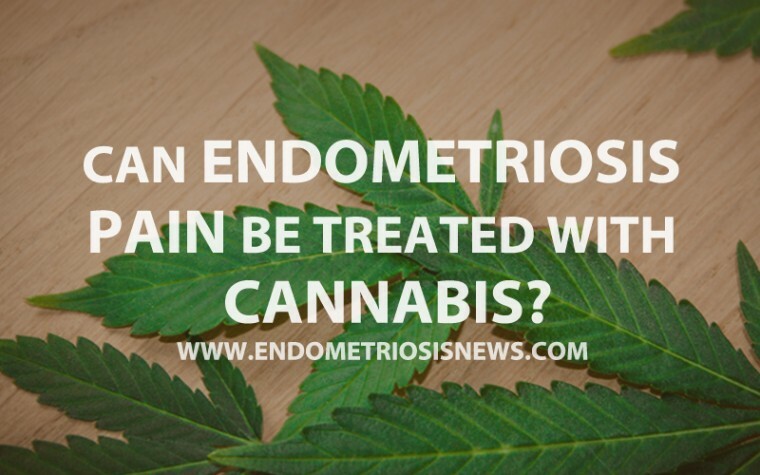 Next:Can Endometriosis Pain be Treated with Cannabis?